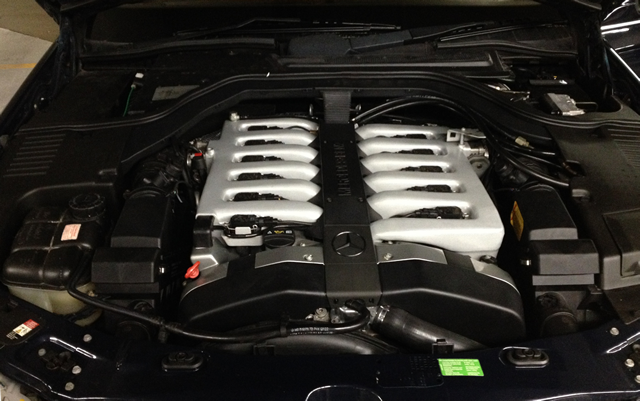 Founded in 2001 Hi-Line Automotive in Downers Grove has always focused on the service, repair and restoration of high end and high performance European vehicles. Specializing in these Marques allows us to be intimately familiar with their unique demands. Our knowledge, expertise, and familiarity with your vehicle can allow us to perform services to a higher quality than less than qualified repair facilities. We even perform repairs to a higher than dealer level of quality. Dealerships are often required to only use manufacturer specified parts, while these parts can be of very high quality often there are components made by aftermarket suppliers that can enhance and improve on OE components. We have the knowledge to advise you when using a manufacturer or aftermarket part would be most appropriate. Dealerships and other repair facilities often are not experienced to work on vehicles past a certain age. Often they lack the experience or tools to perform the delicate repair and restoration work to a high level. Hi-Line has enormous experience working on your model European classic. Now with over 15 years of serving the Chicagoland area our stellar reputation is widely known. We can provide to you everything from basic maintenance A and B services up to engine or transmission replacements. These guys really took care of us, great service. A breath of fresh air from the BMW dealer…Chico R.
This is an auto repair shop that I trust completely. The staff know what they are doing. I interview repair shops & check them out before I will trust my vintage car to their care. HiLine Automotive has never disappointed meSandra S.
We’ve worked with Hi-Line for both our vintage BMW and Mercedes cars – great diagnostic and technical services! We’ll continue to work with Hi-Line in the future.Steve A. Regular servicing and inspection based on the manufactures recommended schedule keeps your vehicle trouble free for long periods of time. Hi-Line is more than qualified to carry out all regular servicing for your car. Before buying your next used vehicle allow us to inspect it for you. A Pre-Purchase Inspection from Hi-Line goes far beyond kicking the tires and checking the oil. We will thoroughly evaluate all mechanical and electrical components of your potential purchase with the latest diagnostic tools. We are more than qualified to accommodate any repair your vehicle may need. From suspension and brakes to engine and transmission repairs Hi-Line can handle any task necessary. Air conditioning and heating systems in your vehicle are complex systems. Should these systems need attention work is best performed by those with the specialist tools to ensure exacting peak operation. Hi-Line has these tools and can even provide services to bring your classics A/C system up to modern standards. Hi-Line possess a reputation in the Chicago area for our ability to resolve complex technical issues that other facilities fail to properly diagnose or repair. If your vehicle is suffering for a issue that other shops have not been able to adequately resolve, contact us. After many years of use your older vehicle may require mechanical refurbishment beyond that of regular servicing. Hi-Line has the skills and tools to provide a wide range of high quality restoration services.